“One reason as to why the perceptions around concrete garages has changed is arguably down to interior and architecture websites, TV shows and magazines. Shows such as Grand Designs have paved the way for modern day homeowners to refurbish, extend and redevelop their homes and it’s for that reason as to why the idea of a garage to store a car is becoming a thing of the past. According to RAC Insurance 62% of homeowners in the UK do not use their garage to store their cars, and that’s why people are now looking to convert it into a new useable, because it’s a cheaper option than building a conservatory, or extending on the rear of the property. 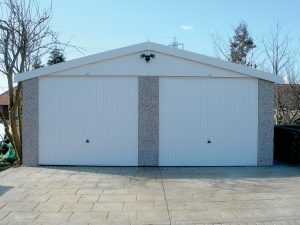 On average, a new Dencroft single-car garage costs between £1,500 to £2,500, whilst a two-car garage costs between £2,000 and £4,000, both of which are more cost effective than a house extension.